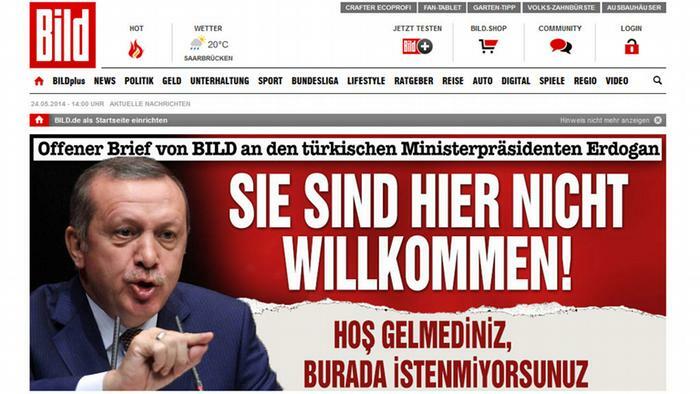 Access to the German daily BİLD’s website has been blocked by the Turkish government, several media outlets reported on Wednesday. The decision came after BİLD released reports severely criticizing the recent arrest of Deniz Yücel, a reporter for German daily Die Welt. Yücel, who was detained in Turkey on Feb. 14 as part of an investigation for publishing stories on the leaked emails of President Recep Tayyip Erdoğan’s son-in-law and Energy Minister Berat Albayrak, was arrested by a court on Monday. German press organizations on Feb. 19 called on Turkish authorities to release Yücel. After a detention warrant was issued for Yücel, he turned himself in to police in İstanbul.